The first one we will do is for Speech Timer for Talks and Presentations which has been released on the App Store (here and here). The motivation for making the app really came from experiences with scientific conferences, both in giving talks as a conference speaker, and in organizing them. Usually, as a speaker, I would tend to rely on the timer built into Microsoft Powerpoint to keep within the prescribed limit. However, this worked only during practice, since in a live talk, when you are trying to engage the audience, you tend to look outwards, and not necessarily downwards or to the side, at your laptop screen. I barely look at the timer, and instead, hope that my rehearsals will allow me to finish approximately within the prescribed limit. Additionally, scientific conference talks usually followed a 15+5 or 45+15 format, wherein, you are given 15 (or 45) minutes to talk, and 5 (or 15) minutes for Q&A. Of course, you could always use the Q&A time as a buffer if you are going overtime a bit, but it wasn’t considered good practice as it was a disservice to audience members who actually had follow-up queries. The same problem could be stated from the point of view of a conference organizer. It was a nightmare to make sure that speakers finished on time. Especially when there were renowned researchers giving keynotes, you had to make sure you kept on schedule, since they may only have just enough time to give their speech, before flying out to their next event. Conversely, (and not a problem our app solves), the keynote speaker, as the guest of honor was sometimes allowed to go overtime, especially if the Q&A’s were good, leaving the organizers scrambling to make sure nothing else fell behind. So, what was usually done? 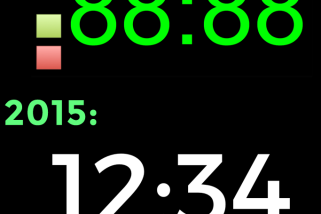 Here enters the honorable timekeeper (which was actually the working title of the app for a brief period of time). If the role was distinct from the chair of the session, then usually it was a grad student would have a stopwatch (or a wristwatch, or a smartphone), and would hold up fingers or paper signs when the 5 minute, or the 1 minute mark was up. And what if the speaker happened not to be looking at the timekeeper in the moment the hands were held up? Well, they missed the warning time, unless the timekeeper was astute enough to repeat the signal until a nod or other confirmation registered. What happens when the speaker starts going overtime? One way was just to call a halt to the whole thing and stopping the speaker mid-sentence, or to give them a minute to wrap up. If the chair was more reluctant to call a halt, then it involved some combination of throat clearing, standing up (to the side of the room), and I’ve even seen instances of key jangling. Anyway, in short, this was the situation that was the motivation for the app, circa 2012. 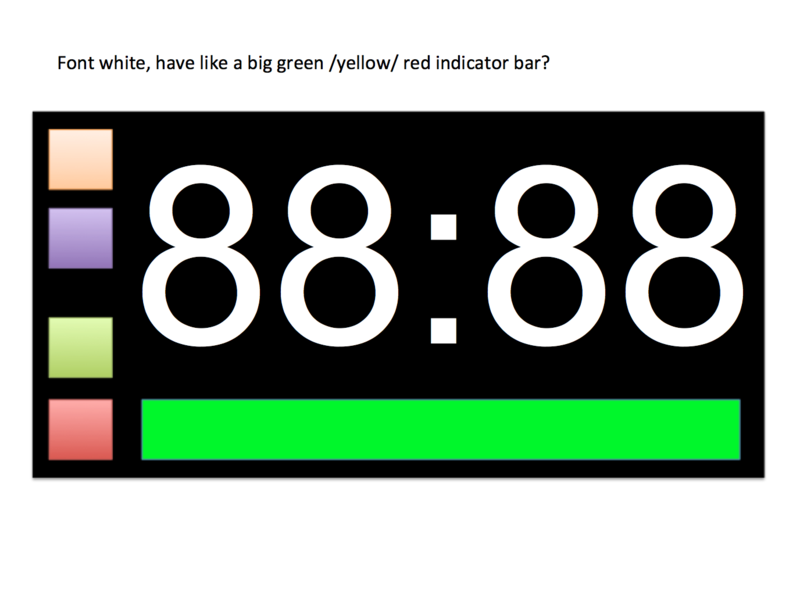 Shown below is the first mockup of a Speech Timer (done in PowerPoint), dated December 5, 2012. 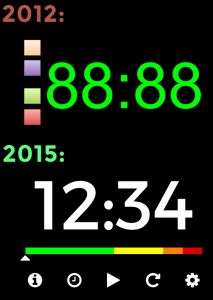 From the images in the rest of this post, you can see how we’ve come a long way towards . The main part was the green (equals GO) for the time, which would change colors at the warning signal. 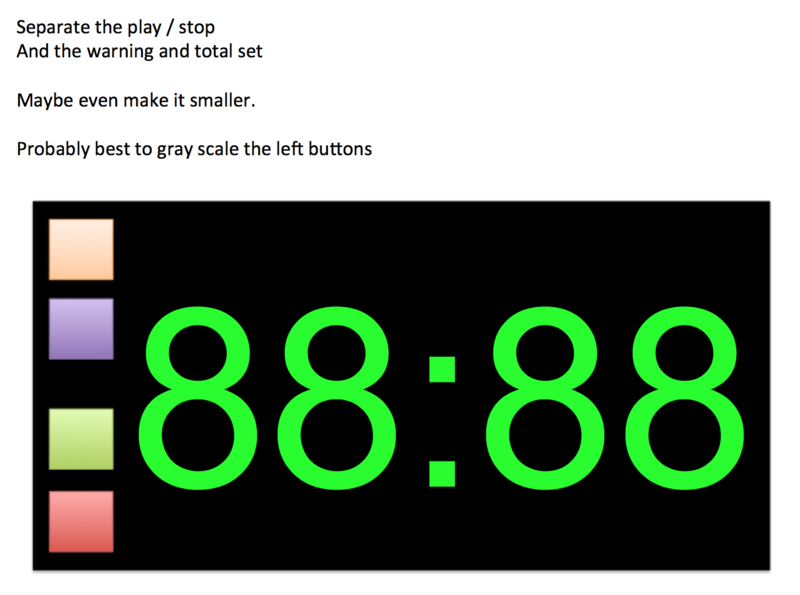 The 4 squares were stand-ins for play / stop / time set and warning set. Additionally, this could replace the timekeeper’s role, or rather, this might be what the timekeeper could hold up instead of fingers or a paper sign. 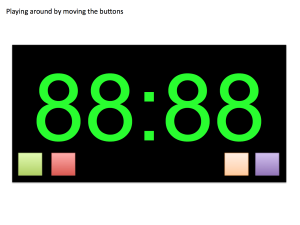 Running on an iPhone or iPad, this could be placed on the podium for self operation, or used by the timekeeper from the first row. 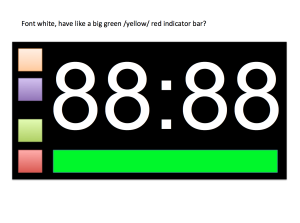 The countdown time was meant to be legible from afar, and the color change (from green to yellow after the warning time, to red when it hit zero), would be an indicator for the speaker as to what phase he or she was in their talk, even if they missed the crossover signal. For example, the warning signal could convey the beginning of the Q&A session, or, wrap up of the speaking section. 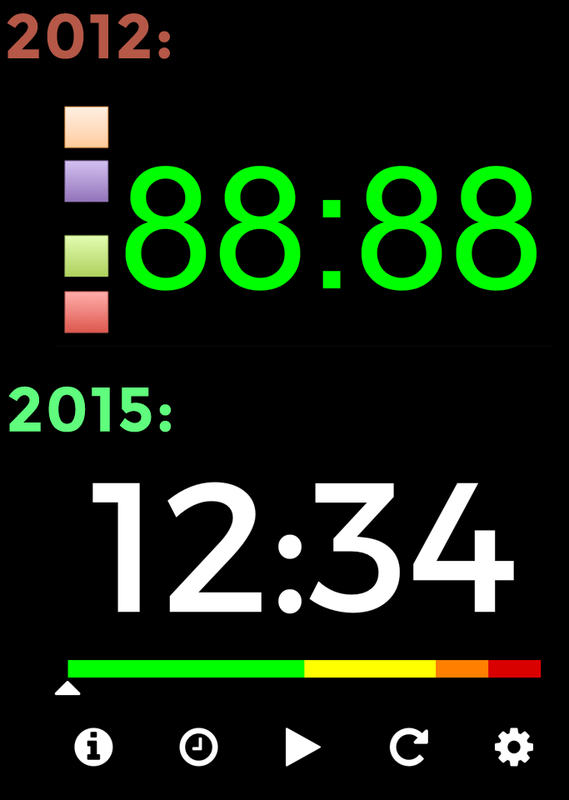 We played with a few other iterations, including, having an indicator bar that changed color, and keeping the main time white (since that produced the best contrast with the dark background). Where, the buttons are placed below. Now the app was starting to take shape. This mockup was the first step for an app which was to become … Apptato’s Talk Timer ???!!! What??! Stay tuned for the next post!